Today I’ve woken from a dream. I’ve just spent 4 days covering unfathomable distances over some of Scotland’s most remote mountain passes on the Highland Trail 550. I’ve been sleep and calorie deprived, bruised, battered, rained on, midged and largely alone for days and can honestly say I’ve loved every single minute of it. I just felt constantly surprised, delighted and privileged to be moving through the day, dawn and dusk in such wild beautiful places. It was hard yet effortless at the same time. I can’t explain it better than that right now but I feel different today as a result of my four days on the HT550. Yes things hurt. I can’t get my shoes on or drink tea because my feet and lips are so swollen but this isn’t even an inconvenience. It’s just what is going on for me right now and what I’ve realised is it’s up to me how I feel about everything. Isn’t that liberating? I enjoy writing about most of my big rides but I can’t wait to write about this one. Utterly, honestly, weirdly life changing. Shand are a small Scottish based independent bike manufacturer who build the types of bikes that make people like me swoon. Steven Shand and Russell Stout took pity on my drooling, pitiful form when I arrived at their workshop earlier in the year to pick up Emily Chappell‘s custom made Stoater. At the time, my plan was to race The Tour Divide and, being adventurous types, this captured both Steven and Russell’s imaginations. They offered to build me a bike too. What I didn’t realise was that I was entering into a relationship with them. 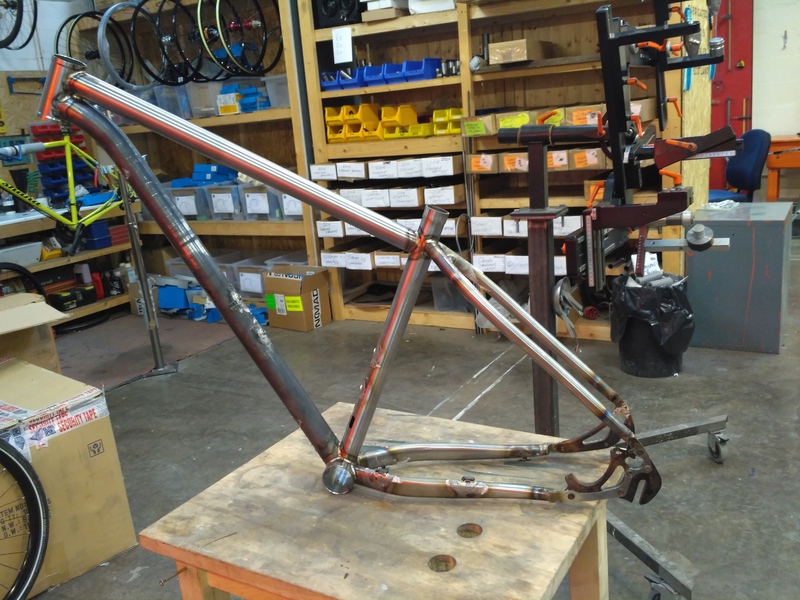 The building of a bike is a very intimate thing and requires a frame builder to have an almost psychic understanding of their customer’s deepest wants and desires. Knowing the motivations, fears, passions, fantasies and hidden aspirations of a person having a frame build for them might not seem immediately relevant but sit on a Shand and tell me it’s not like having had your innermost thoughts read. I remain disconcerted in the extreme that Steven Shand has had access to this part of my mind. 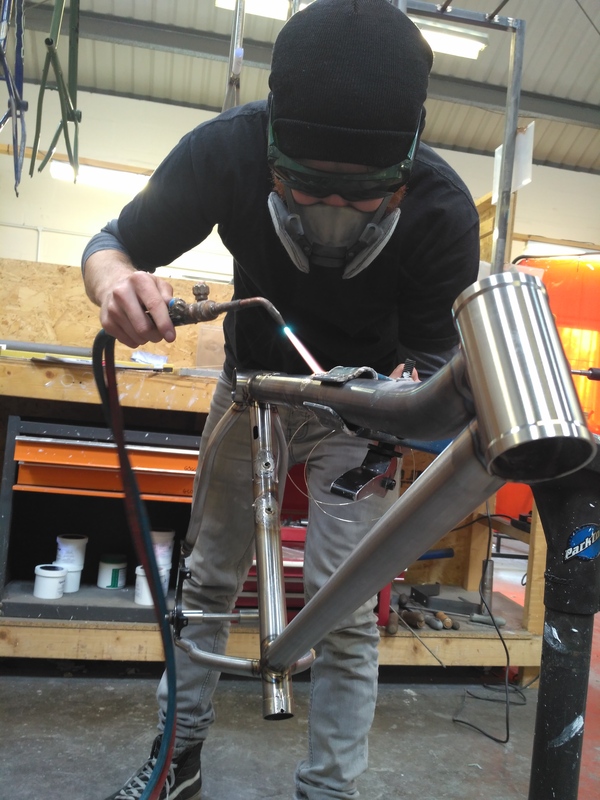 I’ve since decided not to race the TD this year but save it and build up to a 2017 attempt (reasons why here) but Steven took my measurements anyway and at the same time established a rapport that had us bouncing ideas and dry humour around in a way that I understand now to have been important to the final build of my bike. We finally settled on a tweaked version of his award winning Bahookie with a greater standover height and slightly slacker head angle than is customary. To this we would fit 650b Halo wheels with plus sized Schwalbe tyres on a rigid carbon fork, run a Shimano group set with XTR 1 x11 and finish things off with a rather lovely set of Jones H-bars. I was even to have my first ever SP dynamo hub to USB charging unit stashed neatly in my stem top cap. So clever. Well, that was the plan (and still is long term) but for now we have had to adapt a little. Our plus sized fork is somewhere still in transit on the Atlantic Ocean and I start the Highland Trail 550 in two days time. We have had to improvise. 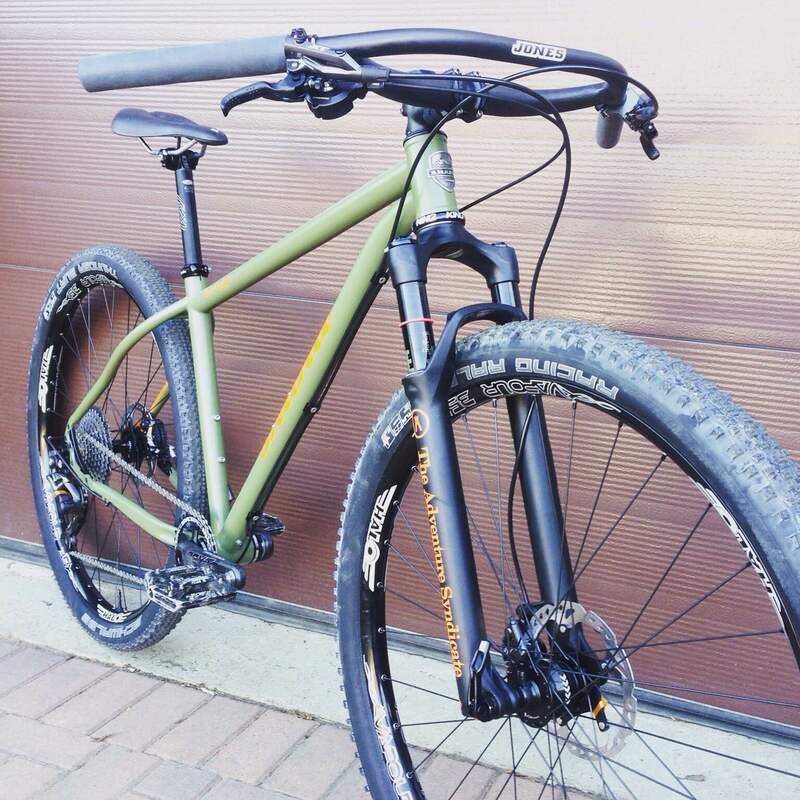 Jimmy Shand will have 29inch wheels on the HT550 and a short travel fork. This has not dampened my spirits at all only made me marvel at the versatility of minds and metal. It also means I get custom The Adventure Syndicate graphics on the outers which pleases me an unnatural amount. And so a star is born. Complete with soundtrack. I’m already pretty sure this one’s for life. 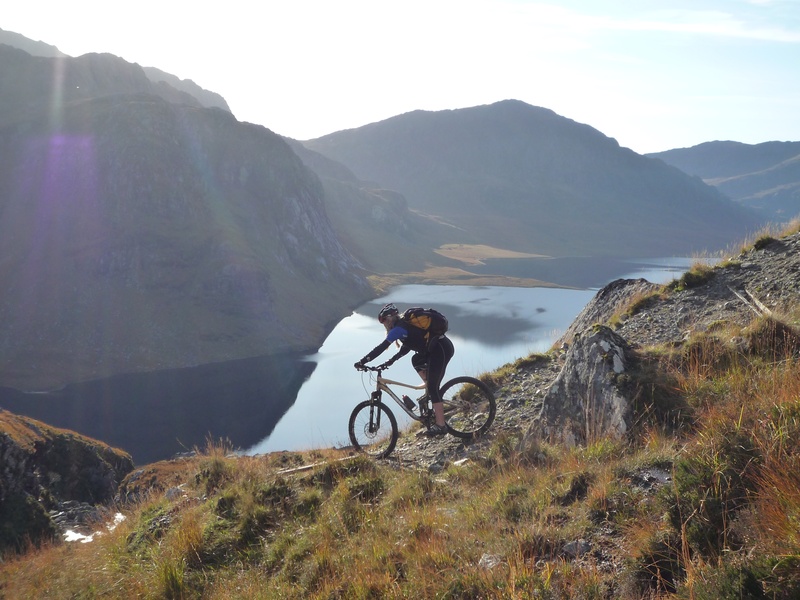 Since the North Coast 500, people have been asking “what next for The Adventure Syndicate?”. 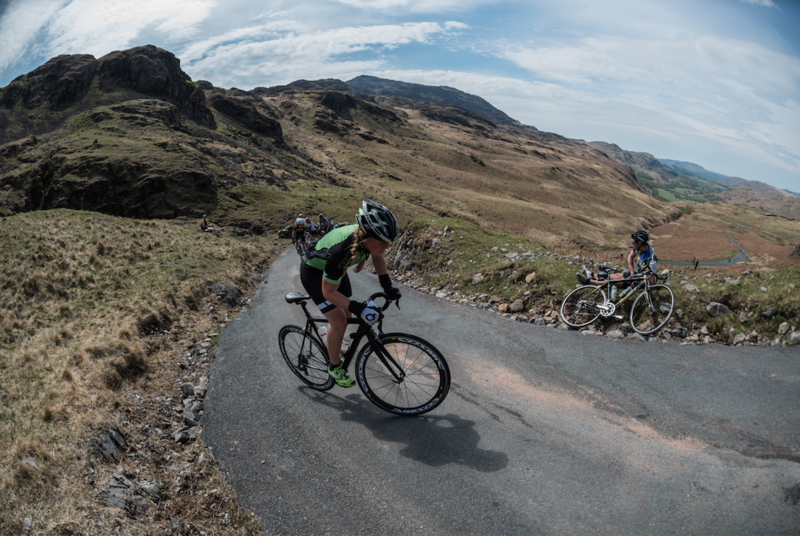 The answer is lots of different things for different Adventure Syndicate athletes. Emily Chappell is somewhere on the west coast of the US riding south to meet Juliana Buhring to help her Race Across America. And, this weekend, I am riding the Highland Trail 550. 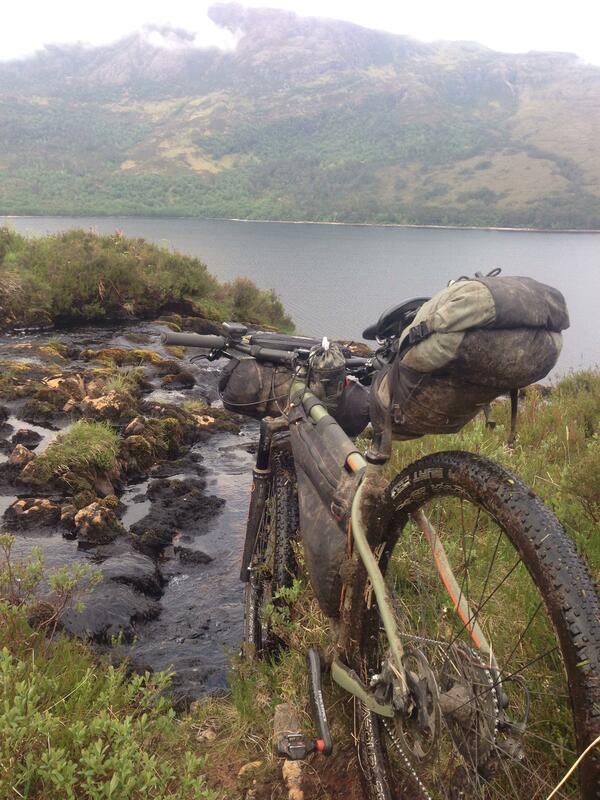 This is a self supported bikepacking race over 550 miles in the Scottish Highlands. Starting in Tyndrum, the route follows a mixture of fire road and singletrack all the way to Assynt and back. You can eat and sleep when you like but the clock keep ticking. It’s a proper adventure with no prize or glory. In some ways, more like a moving solo retreat than a bike race and it’s this that fascinates me. I’ve no doubt it will get dark (figuratively and literally) but it’s this part that intrigues me. For me the Highland Trail is the essence of adventure and I am so excited to be pitching my wits against it. You can follow the race live on Trackleaders. Watch our dots as they inch their way across the Highlands (ooh, that sounds interesting I hear you say but it actually is quite addictive) and think about your next adventure. Last week I had the pleasure of staying at the Hotel Viva Cala Mesquida in Mallorca. It felt odd initially to go mountain biking in a place so familiar to me for it’s fantastic road riding but a whole new side to the island opened as a result. 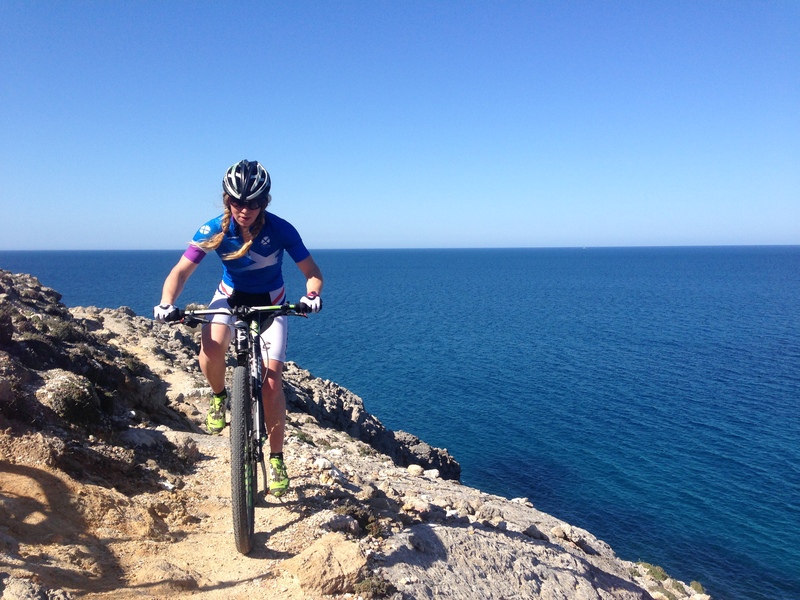 Cala Mesquida is in the north east of the island, a hidden gem with deserted sandy beaches and rocky bays littered with single track. I spent 7 tedious days GPS tracking mountain bike routes in the surrounding natural park (only riding, no swimming in the sea, no cocktails on the beach, no eating from the extensive buffet) and have come up with some great routes I can show some of you this October if you like. Get in touch to find out more.